The Grammys Are Giving Jay-Z an Icon Award, but When Will He Get One That Counts? Jay-Z, however, has yet to comment publicly on his award. 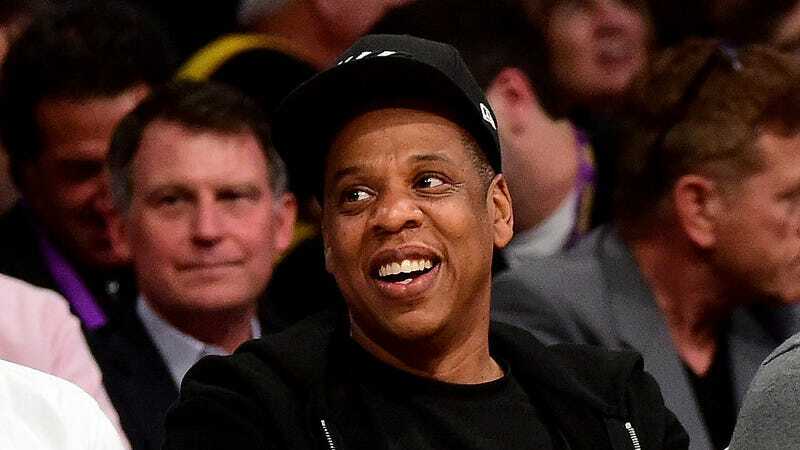 You could see where he might have some mixed feelings: Jay-Z has never been nominated for an Album of the Year or Song of the Year Grammy in his entire career as a lead artist. He was nominated for Record of the Year once, for “Empire State of Mind,” and technically received nominations for Lil Wayne’s Tha Carter III and Beyoncé as a featured artist, along with Bey’s “Crazy in Love” and Rihanna’s “Umbrella.” His solo career has gone largely unrecognized in the major categories. As Spin reminds us, he was so frustrated by hip-hop snubs in 1999—particularly DMX’s It’s Dark as Hell and It’s Hot—that he skipped the award show entirely. That year, his third record Vol. 2... Hard Knock Life took home the Grammy for Best Rap Album. It’s the only time he’s won that award. The Grammys’ reputation for under-recognizing hip-hop in its major categories hasn’t improved since Jay-Z’s ‘99 boycott. Only one hip-hop record—OutKast’s Speakerboxxx/The Love Below in 2004—has won Album of the Year since 2000. This year, his better-than-expected 4:44 has a legitimate shot of landing an Album of the Year nomination. But even if it doesn’t, the Recording Academy will continue to turn to career achievement awards to cover their past mistakes.